It seems that today we have only good news for you. Recently we have told the latest information about upcoming Alien: Isolation game and new Assassin’s Creed 4 add-on, and now we would like to please the fans of Far Cry series. Thus, if you are a real fan of the series’ projects, then you know that in a couple of months there will be 10 years since the first Far Cry game was released. And in order to celebrate this momentous event, the publisher - Ubisoft company - has announced a festive collection of some of the most successful projects in the series, entitled Far Cry: The Wild Expedition. 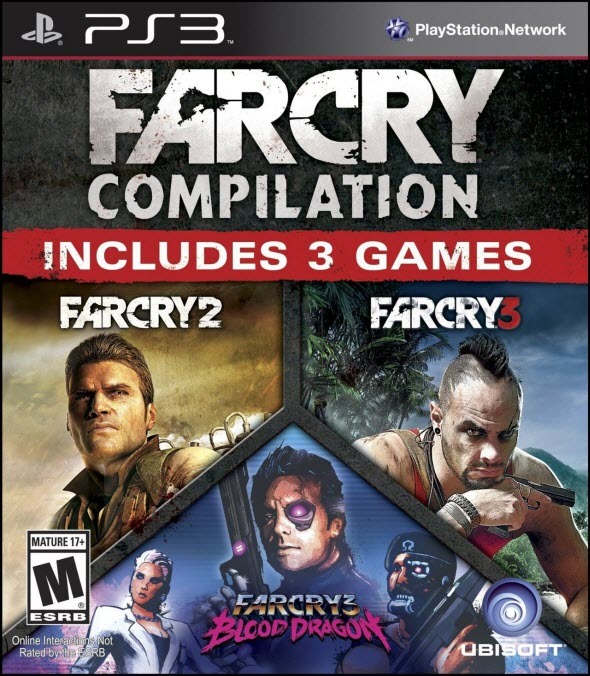 According to the official information provided by Ubisoft, the compilation will include: Far Cry, Far Cry 2, Far Cry 3 and Far Cry 3: Blood Dragon. Far Cry: The Wild Expedition will be released in North America on the 11th of February (although there will not be Far Cry 1) exclusively for PS3, and it will cost you $39.99. In Europe the compilation will be released only a few days later - on the 14th of February, - but for a much larger number of platforms (PC, Xbox 360 and PS3). And since Far Cry: The Wild Expedition release will take place on the 14th of February, you can give it as a present for Valentine's Day for your soulmate, on condition that he (or she) is interested in Far Cry game series.